In 1999, the ambitious journey of LogiPoint began as it built the Kingdom’s first and the largest Bonded and Re-Export Zone (BRZ) in Jeddah Islamic Port spreading on 1 million square meter of reclaimed land. At first, it was merely an idea to facilitate, streamline and accelerate the import and export through Jeddah Islamic Port. Over the next 20 years, LogiPoint transformed the Saudi Maritime and Supply Chain landscape into a world class integrated logistics infrastructure, as it introduced bonded warehousing and storage, faster customs clearance, transparency and accountability in operations, and logistics parks and zones beyond JIP to the mix. These additions enabled the industry to introduce new services and solutions to the market, while making it possible to lower costs and reduce inventories. At the end of the day, LogiPoint clients were able to offer modern solutions and reliable services at a competitive price to their markets and were thus able to achieve and exceed their own growth objectives. LogiPoint is the brainchild and a subsidiary of two established industry leaders, SISCO (Saudi Industrial Services Company) and the Xenel Group; and is a sister company of Red Sea Gateway Terminal (RSGT). 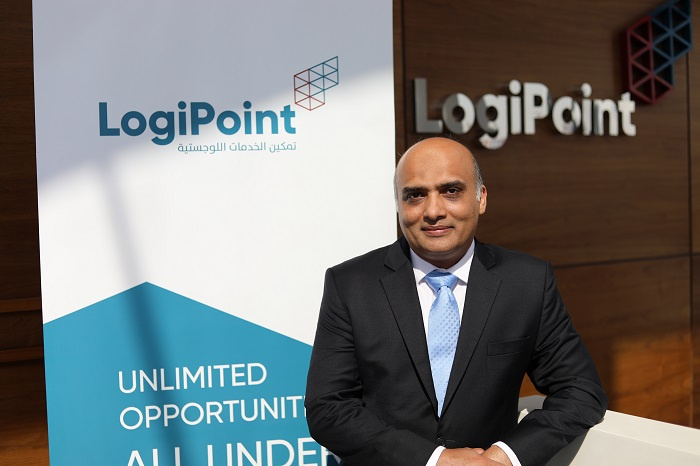 Farooq Ahmed Sheikh the CEO of LogiPoint feels that the company has the right mix of experience, market understanding and strategic assets to play an even greater role in the future as the Kingdom embarks on its pursuit of Vision 2030. Those strategic assets make for an impressive reading: A total land area of 1.78 million sqm; 347,600 sqm of warehouse area; 70,000 sqm of truck parking area; 6,400 sqm of residential area; 747,000 sqm of total open yard; 38,800 sqm of commercial area and 11,800 sqm of truck service area. An ever-expanding team of industry experts and specialists all supported by a world class IT infrastructure, and all under-pinned by a commitment to growth and innovation.